Discussion in 'iPhone and iPad Games' started by metalwastebasket, May 18, 2017. 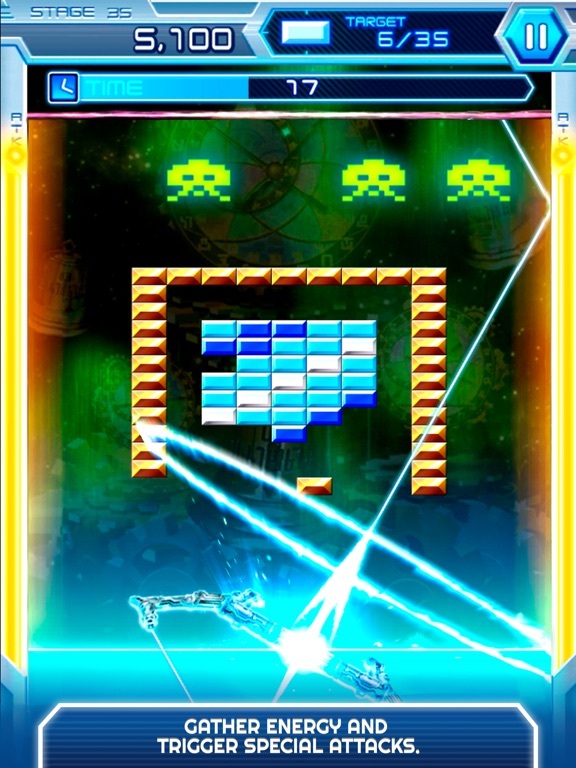 Two of the most iconic classic games ever made meet in Arkanoid vs Space Invaders! "There is just so much game here to enjoy..." - Destructoid 9/10 "... it's really worth putting your money where your mouth is and picking up this game." 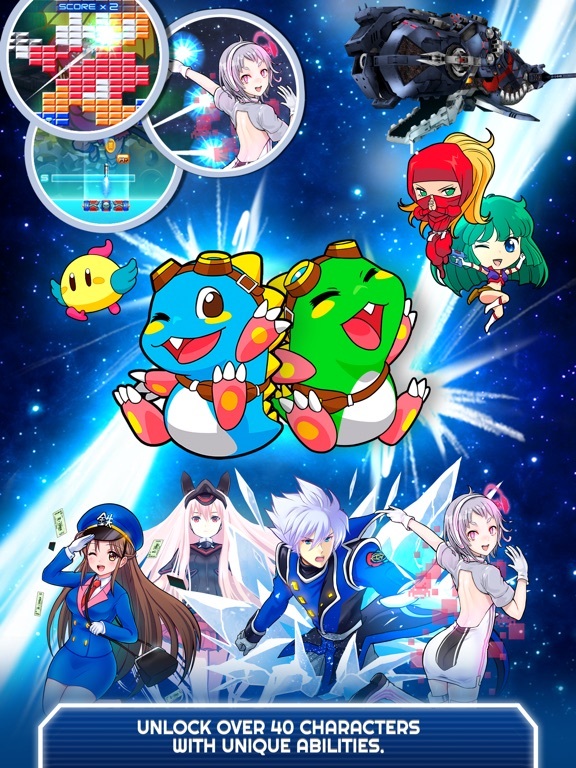 - TouchArcade 4.5/5 AUTHENTIC RETRO ARCADE GAMEPLAY -	Combines the exciting shoot ‘em up and block breaking gameplays in one game. -	Reflect the invaders bullets right back at them. -	Gather energy and trigger Attack Mode to destroy your enemies. 150 STAGES TO PLAY! 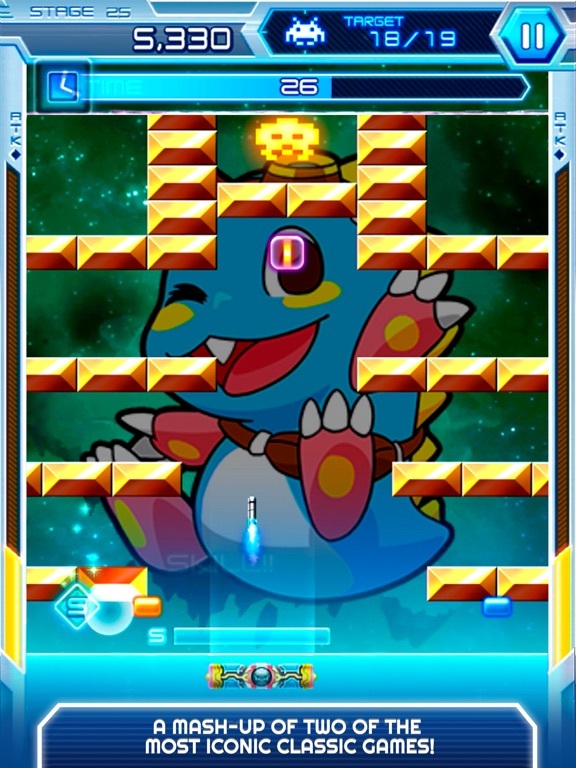 -	Each level will test your skills and puzzle solving abilities. -	Experience over 20 different powers. 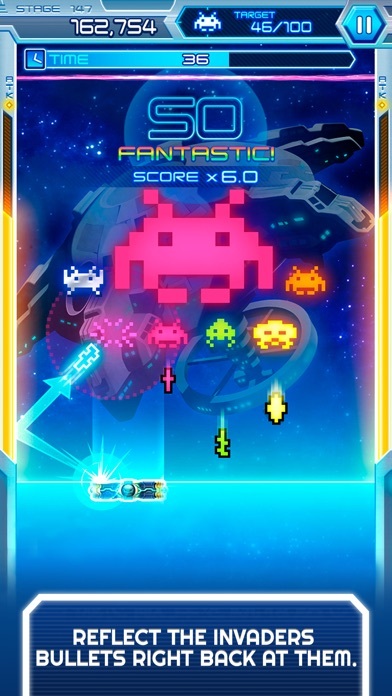 -	Defeat huge 3D Invader bosses and save the galaxy. NEED MORE? -	Unlock 40 different characters from the Taito legacy each with their own unique abilities (Shields, split ball, etc.) 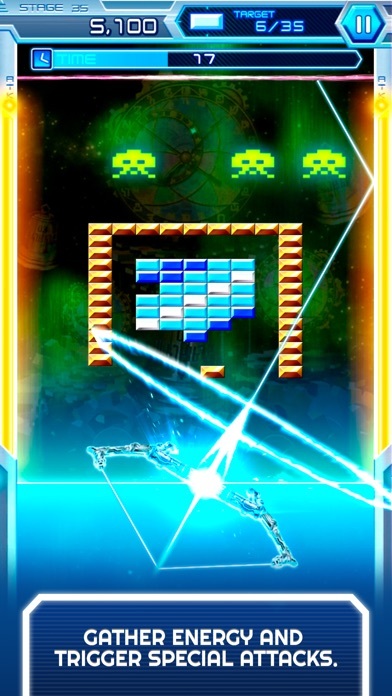 -	Hard Mode offers a new challenge for completionist players -	Compete on the leaderboards in ranked mode Arkanoid vs Space Invaders is completely free of in-app purchases and requires IOS 8.0 or later. Oh yeah! Totally legit, totally premium, totally shocking. I have a few seconds left of downloading before I fire this up, but I'm pretty damn stoked. Two great classics + Square Enix should equal a huge success! Getting this now even if there are no achievements. 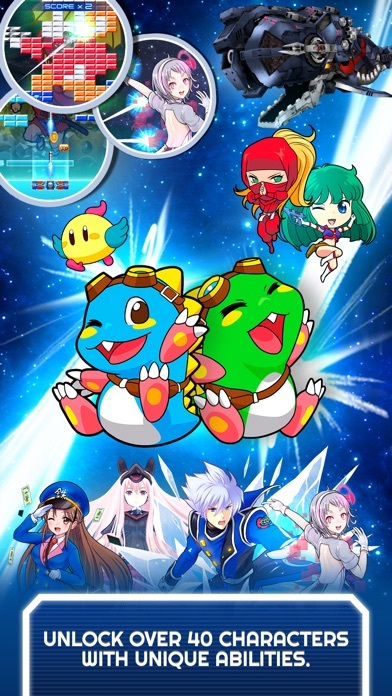 Based on the screenshots this just looks like Arkanoid with a bunch of unrelated IPs thrown in as a gimmick. If there's an additional download, does anyone know the final size of the game? Makes no sense what took so long as the iTunes file size is like 300ish MB? Maybe you download 60MB of in-game music from the slowest CDN on Earth? I won't buy this game because of additional ressources to download before launching. It means that the IPA file (meant for backup) is an empty shell. You will be able to play until the publisher decides to stop the service. 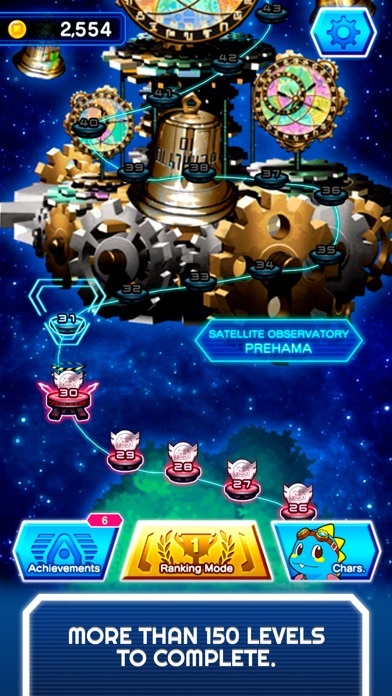 This could have easily been f2p with timers, IAP, internet connections, energy, etc. couldn't be happier to pay the $3.99 for it. Downloaded and having a blast. Yeah, it's ridiculous how long it took. I downloaded over WiFi but I'm presuming the iTunes download is small enough to download over 3G, hence why it has to download extra assets or whatever. The funny thing is if the initial download was less than a 100 MB, they recommend you download the extra resources via WiFi. Dude, no offense, but from your forum posts it looks like you're trying to find excuses to not buy anything. 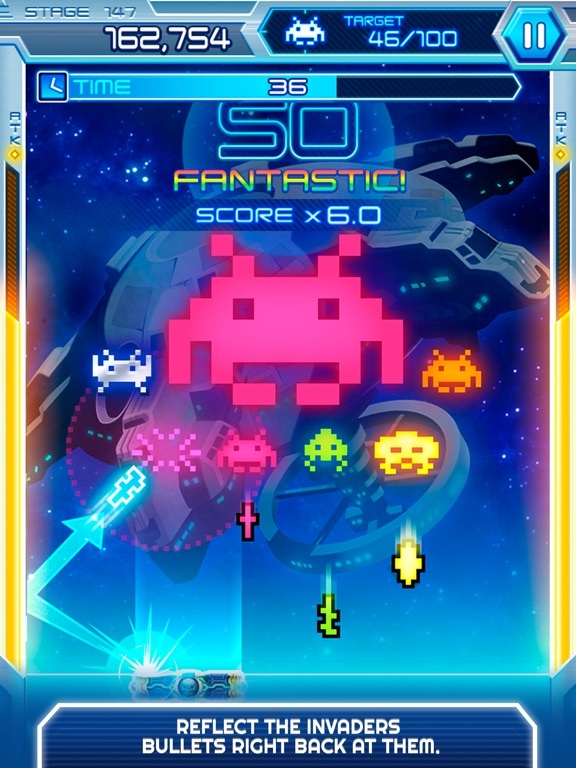 I'm glad to see that the tradition of awesome Taito music found in Space Invaders: Infinity Gene and Groove Coaster continues here. I'm also pleased that the Arkanoid theme plays at the start of each level. Gameplay is a fantastic mash-up of the two styles. Very well done. Not at all, I use to spend a lot for games. All my comments are not negative (look at my comment for "collect or die" for instance). 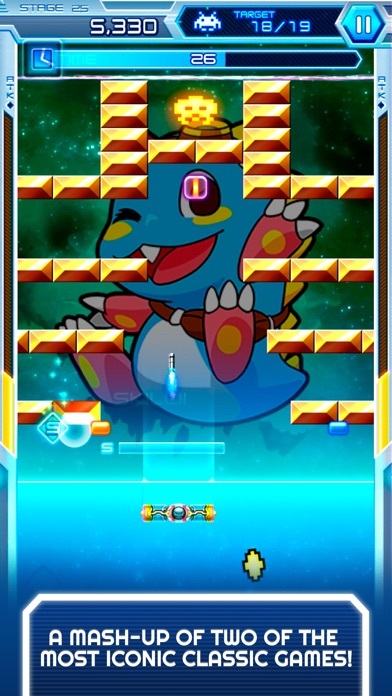 It is not honest to tease people with "Arkanoid vs Space Invaders is completely free of in-app purchases and requires IOS 8.0 or later." and forget to mention that there is additional ressources to download. Completely agree with the positive comments, but it's unclear how to achieve gold medals other than to achieve a score as high as possible. I've unlocked 3 characters out of 40 who each have different powers. Although no iaps, there seems to be a lot of grinding. I've tried stage 1 and still can't achieve gold using different characters. The gameplay itself is a ton of fun. Perhaps as more characters are unlocked, gold will be achievable. No iaps is great. Leaderboards, no achievements, but there are in game achievements where you can use coins to pick up power ups. Don't get me wrong, I totally agree with that point. Much like Eli's review, had I known there were additional resources to download, I wouldn't have even bothered with the game. Yes, I realize how hypocritical I seem right now. Being old enough to remember when Arkanoid first came out, and play it to death, I'm having a nostalgic blast. Sure, this incarnation is worlds apart from that early game, but I wouldn't be satisfied with a direct port at this point in time. The "Breakout" theme has moved on, and on, and on... ad nauseum. I've only played through the first planet and a couple of levels into the second, but I'm detecting a good bit of depth here, even strategy. Wha?! 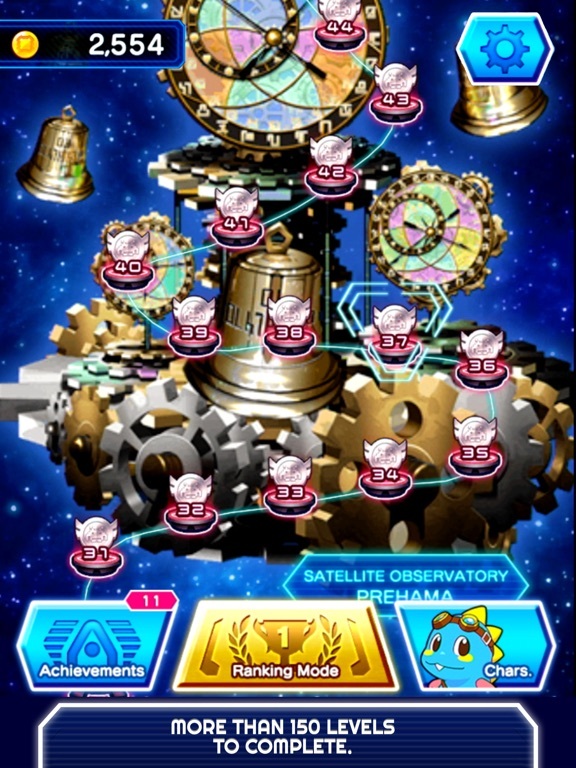 Strategy? Well, I think so. I hope it continues to develop. So far, definitely worth the 4 bucks. But, as I said, I'm old and very nostalgic. P.S. I had no trouble with the download speed. It might have been a bit slower than normal, but not by much. A very big thank to Eli ! The information about this download has been very useful for me (and certainly others). Besides it drives me crazy because I am sure that this game is awesome. Let's hope the publisher will change his policy.